« The Scottish Contemporary Pop/Rock Music Centre opening March ! 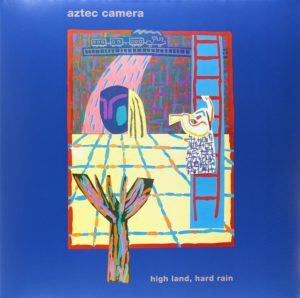 Nothing I think sums up how hard it is to actually get people to buy stuff these days than my recent Aztec Camera tweet for “High Land, Hard Rain” . If we have something exclusively then social media is a great way to let people know and for us twitter works better than facebook. If the artist involved lets their followers know then we will sell even more. However with something like the recent tweet posted a couple of times for this seminal Aztec Camera album on vinyl for a mere £11.95 we drew a blank and that is by far the most likely outcome. A fair few told their followers and I’m always grateful that people do that. A lot of people “liked” we were selling it but sadly as of yet there has been no sale. To some extent this is to be expected as you are “preaching to the converted” but the hope is always that only one person needs to be tempted. My hope though for the History of Scottish Music Centre (or whatever we end up calling it) is that we can introduce new folk to the wonders of Orange Juice and the Shop Assistants but most of all that we can bring them right up to date with the new releases of current bands. With such illustrious predecessors today’s artists might want to think about upping their game !